After jousting with Game of Thrones’ episode The Mountain in its Bud Knight Super Bowl ad, Bud Light now finds itself in a tussle with competitor Miller Lite. As part of its Super Bowl strategy, Bud Light placed an ad featuring a cast of Medieval misfits into each quarter of the Big Game. 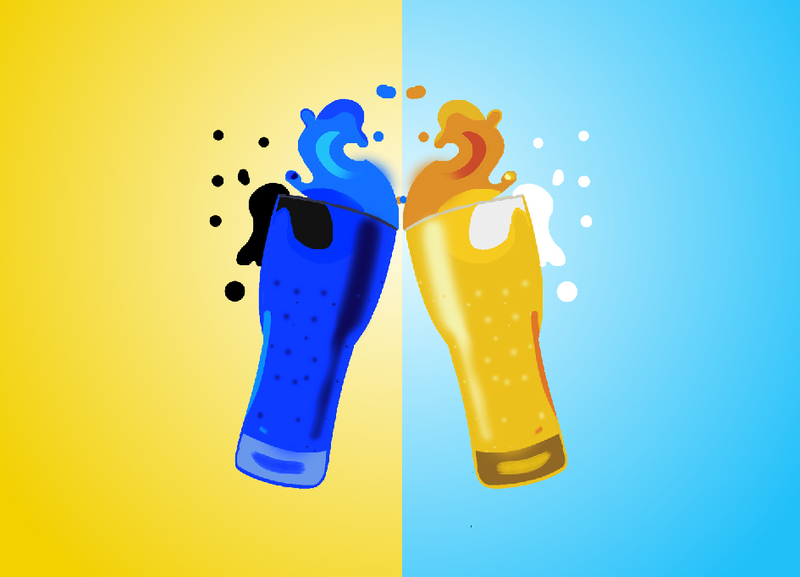 Emphasizing Miller Lite’s use of corn syrup, Bud Light intended for the spots to start conversations. According to AgencySpy, Miller Lite responded with a full-page The New York Times ad by agency of record DDB Chicago. 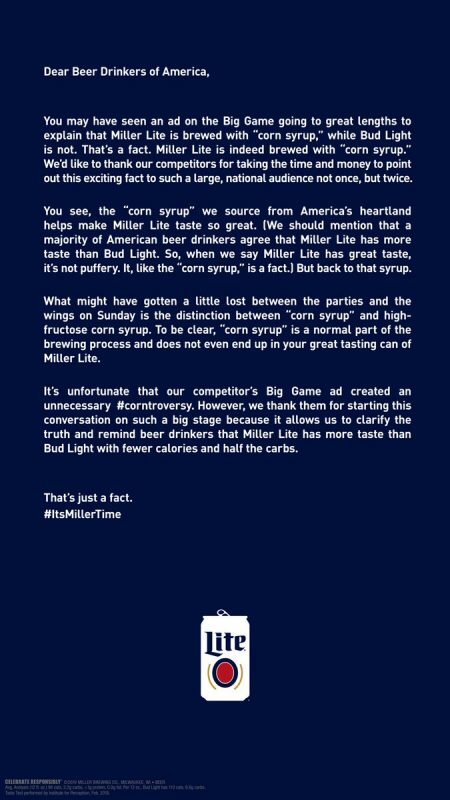 Bud Light: Miller Lite uses corn syrup! What Goeler didn’t tell Schultz was that a number of Anheuser-Busch products also use corn syrup. And on top of that, some of them use high-fructose corn syrup, which nutritionists have called “Public Health Enemy No. 1.” No MillerCoors product uses high-fructose corn syrup. MillerCoors CEO Gavin Hattersley has his own suspicions on Bud Light’s motive. Coors Light: tastes like cheap beer, cheap champagne AND piss combined. Bright side: keep it cheap, people will drink it. Hello, 9-1-1? I’d like to report a slaying, because Miller just killed Bud Light. Who will win this? Not sure. But, Bud Light may need a dragon or frozen zombies to stop Miller Lite and the Corn industry from going all “Killy, Killy” on them.